Several weeks ago I decided to answer a call to action of sorts. This is a big deal. A huge deal. A commitment to myself to be “Bold. Brilliant. Beautiful. You.” in hopes of becoming more of who I am and inspiring others to do the same. Here’s the thing… on this blog, I am totally real. I am who I am and I am proud of that. But… but …. while I am who I am, I also am very guarded. I am still very private about some things, while quite candid about others. In deciding what to do with this blog starting in 2014, for months I have been determining whether or not I want to bridge my real life with my blog life. There are still a ton of people in my life who have no idea I do this. It’s not a secret shame. It’s just a secret. I just have a hard time feeling legitimate, and I know it’s all on me. It is amazing every time I hear words of encouragement about my posts. I am always embarrassed to take up too much of some people’s time explaining what I blog about and why I like it. It’s hard for me to think my writing could really be interesting to people I know once they find out it’s me, even though in regular life we talk about the same things I write about. I like to keep things separate or at the very least anonymous. But I realized that if I would like to grow as a blogger, if I want to expand as a writer, if I want to really become the kind of person I would like to be career wise, guts wise, everything wise, I need to apologize less, criticize myself less, and embrace what it is I want to do more. I will still use nicknames when I write. I will still be as discreet as I can be. I will continue to live on line as BP, but try not to completely freak out when someone uses my real name on another social media platform. I will continue to refrain from posting personal pictures of myself and of my family, but I am going to own up to this thing that I like doing, and that is being here, writing to you, hanging out, making new friends, being real, and having the best time possible no matter what kind of sh*tstorm may come. How can I encourage my own friends and readers to truly be bold in the dreams they have for themselves, to shine brightly and to embrace the beauty within if I have such a hard time with it myself? How can I expect to grow when I am so conscious and self critical all the time? So this year, yes. I will be bold. I will be brilliant. I will be beautiful. Above all, I will be more of me. Maybe not ALL of me, but more of me. Are you still in? I have a strong feeling that if you have been reading my blog regularly, or at least visit here once in a while, this kind of project could be appealing to you, as it is to me. Each of us has something bold, brilliant, and beautiful inside – whether it is going after a new career, treating your body and mind with more respect, finally starting that non-profit, or just committing to speaking your mind because you know that what you have to say matters. 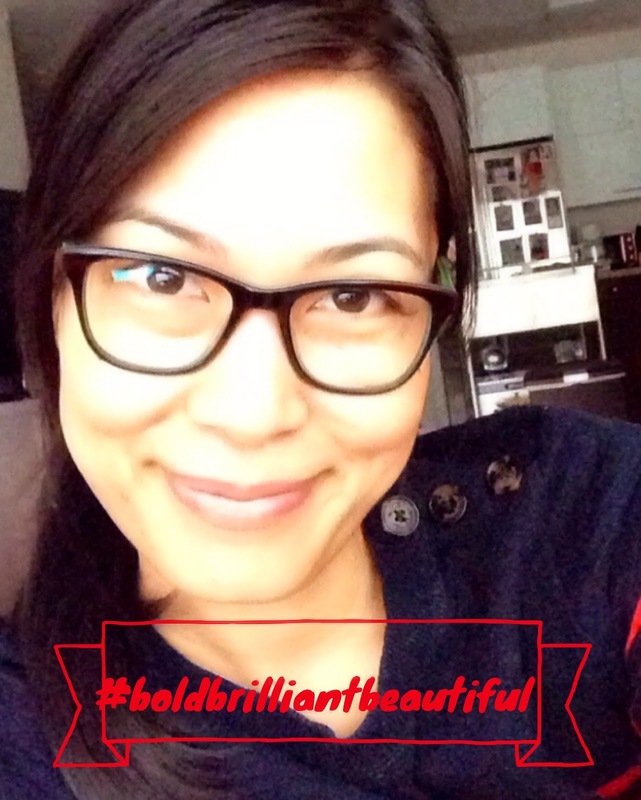 The #boldbrilliantbeautiful you project is a support group for all of us seeking to be real and vulnerable. No judging, no questions, just validation and words of encouragement. 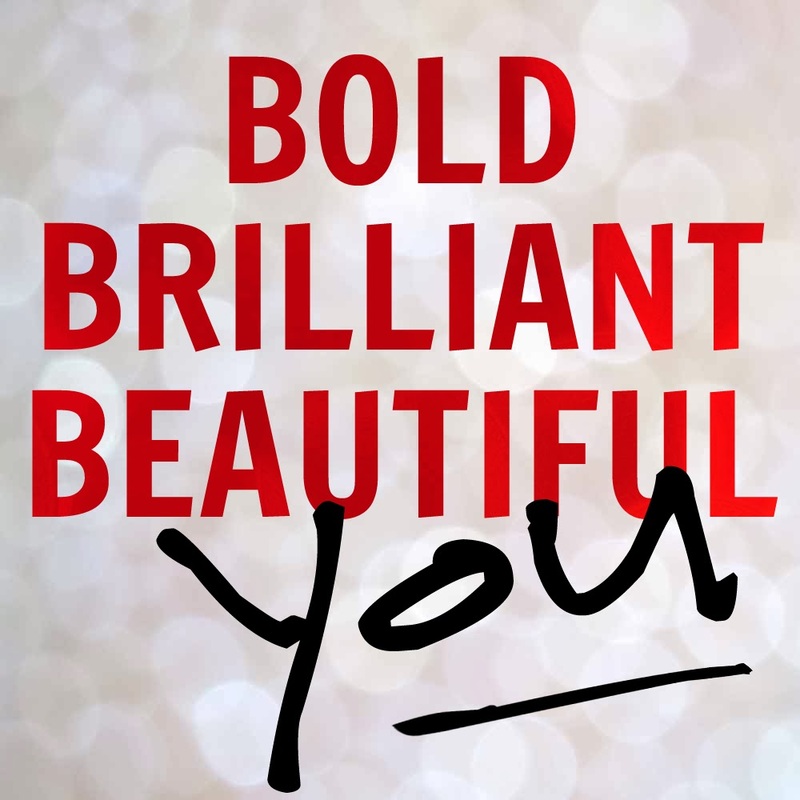 Be a part of the project by posting a picture of your natural self using #boldbrilliantbeautiful on instagram and twitter to find others like you who are looking to make 2014 the best, most authentic year yet! Write a post about your plans and include your ‘real’ photo with a sign or banner holding the hashtag. You want to join us… I KNOW you do! OH. MY. GOSH!!! Smiling so big for you…for ALL of us right now!!! Awesome! Excited to get to know you more and see what this year has in store for you! Hey Oddsauce! Thank you! Am really happy about it too, and am glad you are going to join this project as well! Let's do this! I fell in love with you the moment Jen showed me that adorable little avatar of yours, and every time we interact or bump into one another online I think … yes! this lady is my kind of people. Sometimes you just know … and after reading your post today I 100% know. I also lead two lives, although they are more and more starting to collide and I am getting to the point where I am OK with it ,,, but still need to grow so much more before I will be thrilled with it. You are a force and I am so incredibly excited to get to know you this year and follow along on your journey. Can't wait to meet you in person very, very soon. and I am so glad you shared a photo! because I was scared I wouldn't know who you were when I saw you! I was hoping you were going to show a photo as a read this — how nice to finally “see” you! I, too, feel embarrassed to tell people (especially my former co-workers) I write a blog about home decor, food, and other ordinary stuff — I still won't publicize my blog on my personal FB page. So I, too, maintain some sense of anonymity. Glad you're going BBB! What a beautiful post. I am so happy to have been introduced to your amazing writing through this project and am looking forward to what the year will bring! I just found you, and I'm so happy you're a part of Bold Brilliant Beautiful, because you are. All those things. I'm looking forward to delving into your archives and getting to know you better. Amy, you HAVE to join us! What do you think? I really look up to you, all you have done, and the woman you are, and to know you can still relate to my apprehension and “secret blog life” blows my mind! Think about it. I feel like this post and project is a big turning point for me (internally). Even if I conduct things the same way, there is less fear, and more excitement! Thank you for sticking with me since the day you 'found' me, Ms Goo Shoes! Finally! Very bold of me, right? I did it, Jen! This was the best way and time. Thank you for EVERYTHING! Really, you have no idea. Yay, Carolyn! Thank you. THANK YOU! Yes, this is not just for me. Was thinking of you and our other BBB friends all along. It's for US! Let's do this, girl!!! For realz, Kelley! Hip hip … 🙂 So grateful you came by! Joya, I am grateful to be in this with ladies the likes of you, I am so serious! Yes, time to be even bolder than ever. There is no other way to live this blessed life! OMG, Stacy! This photo thing was the big reason why I almost DIDN'T join B B B, can you believe? Forget being untouched or makeup free… I was like, “A picture? eek!” But, you know, it came all in good time. In perfect time. Really put me in a better mindset, and in effect, I feel really good, and so empowered by all of the support and energy. See you soon! SO thrilled, and yes, now you will be able to find me in person! lol! Jane, I just read YOUR post and know we have a lot in common. The excitement is mutual! Let's go, 2014! It's so nice to see you here! Thank you! Yes, hello, I AM a real person! lol! Christina, why don't you join us? You are just the kind of girl who is bold. brilliant. beautiful!!! Seriously! Email me and I will get you set up! Next PostIt’s Tough Not Being "Off the Cuff"